These gifts are always going to be appreciated by college students. College: a time to work hard, discover yourself, and save as much money as possible. With tuition and student loan debt rising every year, college students are getting savvier about saving money. But, that doesn't mean that most students couldn't use a little help every now and then. 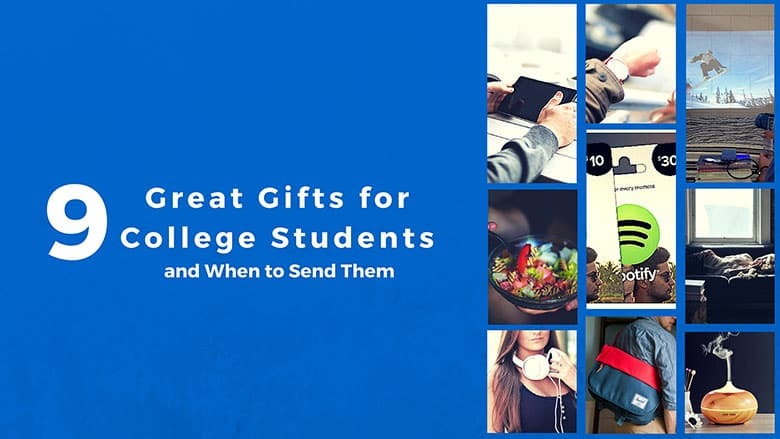 If you’re looking to become a college student’s personal hero this semester, here are a few thoughtful gifts to send (and when to send them) that will turn their semester around. The start of a new semester or school year is the perfect time to splurge on bigger-ticket items since there are always a few things that get forgotten or left behind. A gift card to Amazon, or a store like Target or Kohl’s, or even to a gas station for students who drive, can make all the difference. Your student will be able to stock up on the basics, without you needing to mail them toothpaste and deodorant. Plus, it's easy to find gift cards at discount rates, especially when buying in bulk, not to mention that you can customize this gift to fit your budget. A small wall projector is perfect for movie nights, Netflix marathons, and the type of low-key evenings in with friends that are key to the college experience. Because most college kids aren't going to have a projector or even a TV in some cases, most students huddle around a laptop for movie nights. A projector gives your student a great way to enjoy their free time and become a host for events in the dorm. Look out for deals around the start of the school year, when many tech stores host ‘back to school’ sales. There is usually at least one great deal every month, however, so if you set up a Deal Alert you probably won't have to wait long to find a good one. Refurbished models are a great way to save money on projectors as well. If you’d rather invest in your student’s education than in their free time, consider an eReader. College textbooks are notoriously expensive, and having a means to read them electronically can make a world of difference. You don’t need to spend a ton of money here either -- we've seen frequent deals on basic Amazon Kindle models in the $50 to $60 range, while other small black-and-white eReaders can run as low as $45. While the start of a semester is a time for fun lifestyle gifts, by midterms season, it’s time to hit the books - and the hay. The right gift could help your student make it through this stressful time unscathed. For long nights in the library or study sessions that don’t disturb the roommate, consider a nice set of headphones that will allow your student to focus. Noise-cancelling headphones are great for students who prefer to study in quiet, while simple earbuds will do for students who prefer music. Another thoughtful gift that will keep the peace between your student and his roommate is a silent alarm clock like the Sonic Bomb or SmartShaker clocks. These alarm clocks will wake even the heaviest of sleepers by vibrating under the pillow or mattress. Most of these clocks run between $20 and $35, so you don't have to spend a lot to ensure that your student doesn't miss that 8 a.m. midterm. If you’d like to make sure your student’s room stays livable even as the stress of the semester winds up, consider an aromatherapy diffuser. These long-lasting air fresheners rely on essential oils and can prevent odors from shoes or dirty laundry from taking over the room. Diffusers are available in ton of styles, from the basic to the ornate, but you can get a solid model, like this portable InnoGear Essential Oil Diffuser, for around $20. Keep an eye out around wintertime, when holiday sales make these even more affordable. 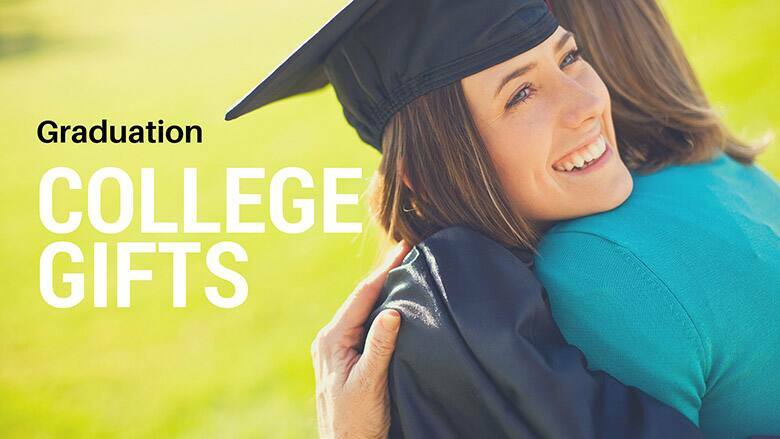 For the end of the semester or graduation, consider giving gifts that invest in your student’s independence over the summer or in their future career. One such gift is a portfolio or briefcase for their first office internship or job. These don’t need to be expensive to look nice and hold up well; faux leather can look great and will last for several years. Samsil produces some popular ones that include space for a writing pad and a tablet. A nice watch can also increase your student’s professionalism - and the chance that they’ll show up to work on time. Again, these don’t need to be expensive to be high-quality. Look for a classic analog watch without too many bells and whistles. Slickdeals has a dedicated page for great watch deals where you can find watches in a variety of styles and prize ranges. Lastly, consider getting goods for their first apartment or summer place. Cookware like a slow cooker, rice cooker, or even a simple hot water boiler for Ramen Noodles, can make a huge difference in how your student will eat over the summer. 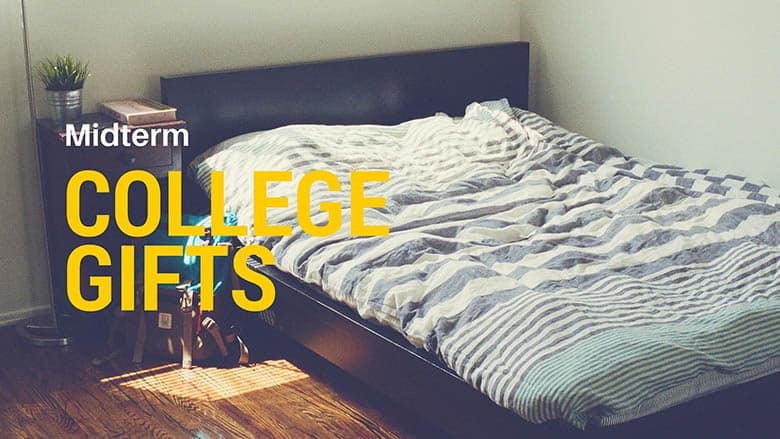 Make sure to check that your gift complies with dorm regulations if they’ll be back in the fall, so that this gift will stay long after summer ends. 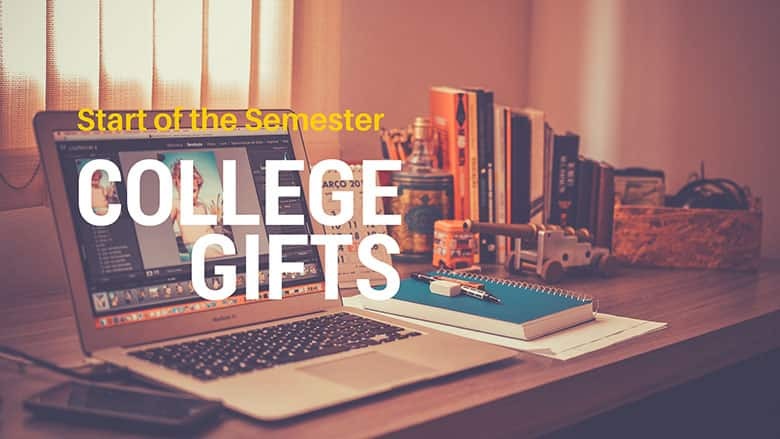 These unusual and thoughtful gifts should make a big difference in your student’s life this semester. If you’re a student yourself, check out the Student Discount page for great deals that will help you make the most of your semester! Sara Laughed is a popular college blogger with a focus on big dreams and balanced living. She studies Religion at a small college in Massachusetts. Her passions include writing, girls' education, and religion in media. Read her blog at saralaughed.com or follow her on Twitter @SaraLaughed.